Every minute of every day, 24 hours during 7 days at week, in fact is increasing. Staggering amounts of data are being generated as consumers connect to, search for, watch, create, download, and shop online. 293,000 Statuses are updated on Facebook. 2.78 million Video Views on YouTube. Twitter 547,200 new tweets, 320+ New Twitter Accounts. Google Play users download 47,000 apps. YouTube users upload 300 hours of video. Amazon $119,760 in sales, every minute. 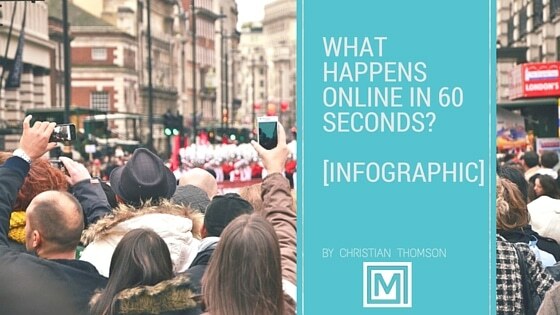 See all statistics here and just one minute thinking how all this data are fundamental for the success of your company and your brand online.